Restful Yoga and Meditation Masterclass: We all deserve moments of quiet, and we need them. Stretch out your body, refresh your mind and hit recharge on your batteries. Life gets busy, which is the exact reason we need to consciously prioritise moments of stillness. In this masterclass we will come together as a group to be, to recharge and to learn how we might do this better in every day life too. Browse the Solo Art Exhibition by Tracy Stirzaker before or after the class. Limited number of places, so get in quick. Join Artist Tracy Stirzaker for a chat about her art practice at her Solo Show 'Songs of Myself'. Tracy Stirzaker sees herself as an observer and critic of contemporary Australian society and is inspired by her lived experience. Stirzaker’s current art practice arises from personal exploration into the self and positive affirmations and tuning into her inner canary. Have you been wanting to try your hand at crochet, but didn't know where to start? Well this is the class for you. Did you crochet a long time ago and would like to pick it up again, then this is also the class for you. Learn the basics of how to crochet, starting at the very beginning with Regula Wettstein. Regula is an experienced crochet artist who was taught by her Grandmother as a child in Switzerland, and has been crocheting ever since. Come learn the basics in a fun and relaxing environment. This is the perfect workshop to learn some basic watercolour techniques, and then apply them to make your own handmade personalised cards to gift to your friends and family. A festive glass of Rosé and nibbles provided. 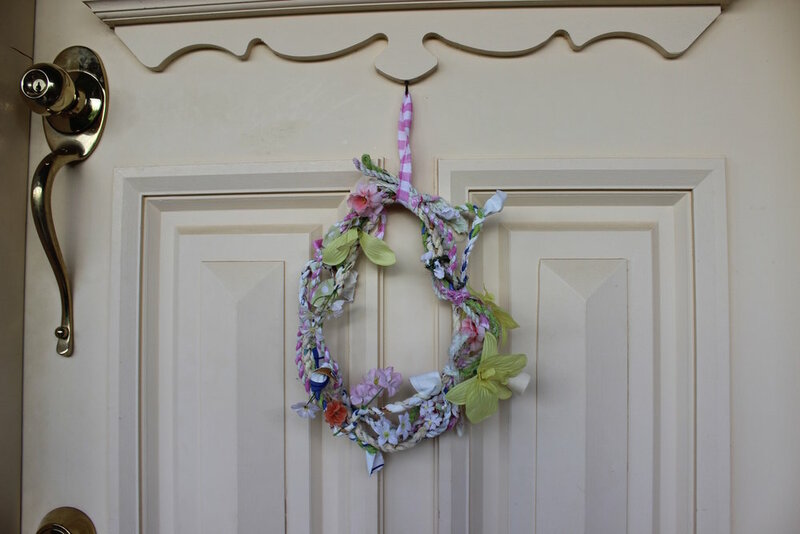 No previous experience is necessary, and you will be taking home your own beautiful handmade wreath. Learn how to make decorative cords from repurposed fabric and found objects that are perfect to hang, drape or decorate your home over the festive season. Workshop is suitable for all ages. No previous experience is necessary. Special Introductory offer $30 for 2 hours on Saturday November 24th with artist Kelcie Bryant-Duguid.